We were huddled over a table sipping Pabst Blue Ribbon draft beers at a bar in my hometown, my mother and my father and I, swapping stories of days long passed, when I asked them, "Do you remember Arnold?" And this is what they said. Dad: "The one that died when you were eleven?" Mom: "Doesn't ring a bell." Dad: "Never heard of the guy." Me: "Really? You don't remember when I used to carry him around in the hood of my coat? Or hide him in the silverware drawer? Or force him to pee on Kelly's toothbrush?" Mom: "Still doesn't ring a bell." Dad: "Still never heard of the guy." Me: "Well, I was wondering if it was possible that he died of something contagious to humans like the Hamster Flu." Mom: "Arnold didn't die of the Hamster Flu, honey." Me: "How do you know?" Mom: "I have a feeling." Me: "What kind of feeling?" Dad: "A feeling like she knows that Arnold died of starvation." Dad: "What? He's twenty-five years old. It's about time he knows that he killed his hamster." Me: "I thought you didn't remember him!" Mom: "Oh, we remember that poor little guy. We thought you were mature enough to take care of a small pet. Boy, were we wrong." Me: "Wait a minute, is that why you stopped letting me babysit the neighbor's cat whenever they went on vacation?" Me: "And why you responded "How about a baseball glove?" every time I asked for a fish?" Me: "And why you didn't leave me alone with Bryan until his eighteenth birthday?" Me: "I can't believe you kept this from me for all these years." Mom: "Honey, we didn't want to hurt your feelings." Dad: "Or pay for therapy." 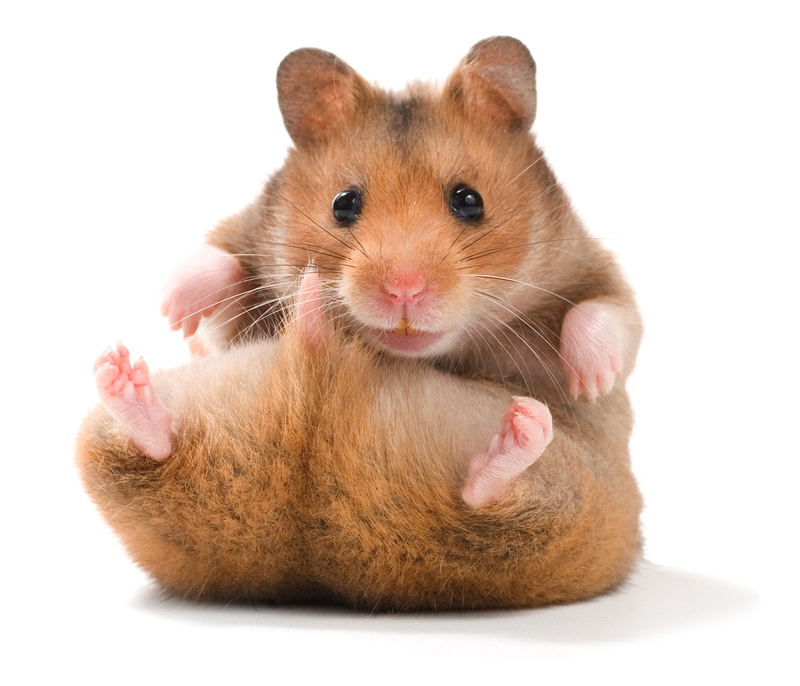 Me: "So all that talk about Hamster Heaven, was that a lie, too?" Mom: "Of course not, honey. Arnold is up there right now chugging along on a hamster wheel made of gold." Dad: "Where else would he be, Hamster Hell? He didn't kill anybody. That was you, remember?"